TicketCo is adding yet another top league football club to the portfolio. Through the signing of Tromso, TicketCo is now on the verge to support the Norwegian sports event market to the next level. “We are growing rapidly, and we are thrilled to experience how well TicketCo is received by both the sports organisers and their audience,” says Dag Frode Algeroy. He was recruited as TicketCo’s Norwegian Country Manager two years ago, and has since then built TicketCo’s dominant position in the Norwegian sports event market. The results are impressive. “After signing Tromso IL, we are now serving 7 out of the 16 top league football clubs in Norway. These are SK Brann, FK Haugesund, Sandefjord Fotball, Stabak Fotball, Ranheim, Molde FK and Tromso IL,” says Mr Algeroy. In the second tier – the OBOS league – TicketCo is serving 8 out of 16 clubs. These are Viking FK, Sogndal Fotball, Ull/Kisa, Nest-Sotra, Sandnes Ulf, Strommen, Floro and Kongsvinger IL. “We are only one club away from having half of the 32 clubs in the top two tiers signed to TicketCo, and it is just a matter of time before we will have the majority. The reason is simple. TicketCo is providing the best sales and marketing tools, the easiest to use technology and a super fast one click only solution that more or less eliminates the queues at the gates. We are making life easier for everyone,” says the Norwegian Country Manager. But it doesn’t stop there. Earlier this year one of Europe’s most important elite track and field athletic competitions – The IAAF Diamond League in Oslo – joined up with TicketCo. Read the story here. Further more, TicketCo has an appointment with Norsk Topphandball – the league organisation which is managing the Norwegian top league handball for both men and women. Handball is a huge sport in Norway, only beaten by football when it comes to outreach and number of audiences, and this league contract brings substantial numbers to the over all Norwegian TicketCo turnover. 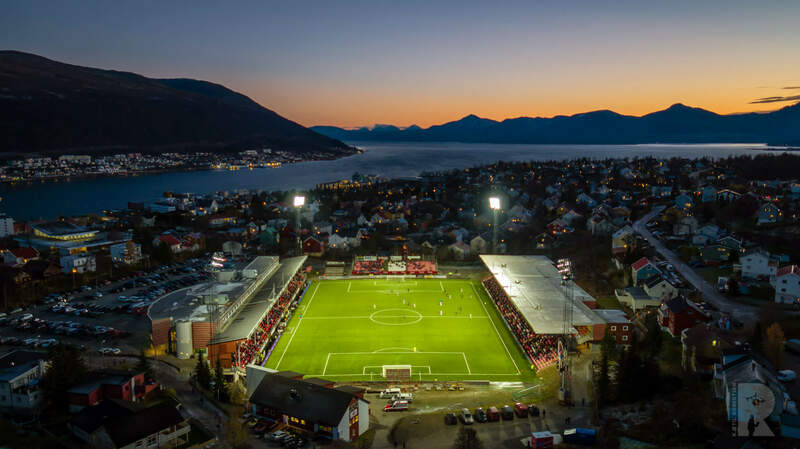 The reason for TicketCo’s massive Norwegian market impact is maybe possible to detect in Tromso IL’s grounds for choosing just TicketCo. “We conducted a long and thorough process before we decided to go with TicketCo, and what was decisive in the end was the combination of an innovative sales tool and the human factor. We are certain that TicketCo will run smooth and frictionless most of the time, but we are also aware that situations will occur when we will need their immediate support. On this criteria TicketCo have made a strong impression,” says head of events and arena in Tromso IL – Mr William Frantzen. He is also concerned about the impact TicketCo will have on the clubs ability to increase the over all sales. “Through TicketCo we will be able to reach our supporters more efficiently, and we may also bundle tickets and goods and thereby boost our sales,” says Mr Frantzen. Mr Dag Frode Algeroy is expecting to see the same market development in TicketCo’s new markets as they have experienced in Norway over the last two years. “One of many beauties of selling TicketCo is the scalability. After the on-boarding is well accomplished each new customer requires very little attention. All our services are self service, which means that we don’t have to build a huge support division to serve the big clients. This also means that our support division – the customer success managers – are able to go all in when a situation occurs somewhere,” he claims. Regarding the new markets, there are according to Mr Algeroy big news ahead. “We are close to signing a massive league-contract in Sweden, and in Poland the negotiations have come even further with a club which will out-size all our current clients. At the same time our UK team are making great progress, preaching the gospel all across the homeland of football. 2019 will be an astonishing year in TicketCo throughout all our markets,” the Norwegian Country Manager concludes.